Wetting agents are like a detergent or surfactant that attract water to the soils surface, helping it to soak in. Hydrophobic soils repel water which can lead to serious problems in the garden and lawn. For existing lawns that are hydrophobic, a wetting agent is needed. 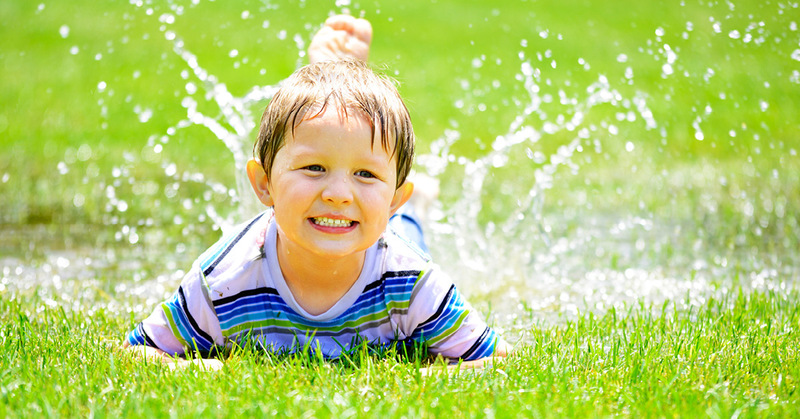 Hydrophobic soils repel water and the water runs off the surface or simply pools and doesn’t absorb. It is a common problem, especially in sandy soils, but can affect many soil types that have not received regular water or are compacted. If there’s been a dry spell and the lawn has not been watered and you notice it looking a touch lacklustre, check to see if your soil is water repellent. You can do this by pouring some water onto a few areas. If it doesn’t soak in quickly, the soil may have developed hydrophobia. Hydrophobic soil is caused by the decomposition of organic matter, which leaves a wax like substance forming a coating on soil particles. After long periods of dry weather, soils can become dehydrated and this is when the hydrophobic surface is exposed, which stops water from penetrating. How can I fix a hydrophobic lawn? Wetting agents are like a detergent or surfactant that reduces the surface tension of the water helping it to soak in. They come in liquid or granular form and are sometimes mixed into lawn foods and top-dressing mixes. For new lawn installation, especially with sandy soils, mixing through some organics and adding a wetting agent before laying the lawn will be of great benefit. Using a starter fertiliser like Lawn Launcher, that contains moisture magnets is a must for any new lawn. For existing lawns that are hydrophobic, a wetting agent is needed. Aerating will also help get moisture and oxygen, into the soil. ← Can you over fertilise your lawn?